What is perhaps the single most important article ever posted on this website went almost completely unnoticed last month. How is it that the most urgent message ever to appear at The Millennium Report was hardly read? The concerned post rendered a lucid and accurate account of the most critical elements of these fast-moving and apocalyptic End Times. This crucial exposé (posted below in its entirety) presents an extremely cogent case for the most significant determining factor that is now dictating the destiny of the planetary civilization. It clearly spells out an ever-intensifying, yet relatively unknown, predicament on planet Earth—one that could potentially cause the collapse of civilization and downfall of the human race. KEY POINT: If nothing else this exposition provides a much needed admonition to the power elite who now control the destiny of humankind. No one gave these individuals the authority to make such highly consequential decisions that will impact every human being. Not only did they unlawfully and covertly acquire their inordinate power and influence, they did so at this pivotal juncture in world history in order to dictate the future outcomes for all concerned. Such a revealing exposé ought to be required reading for every inhabitant on the planet; for it conclusively explains the present and rapidly devolving plight of humanity. It also distills down the whole techno-scientific megillah regarding the greatest single challenge now confronting the world community of nations. Truly, what is discussed below the red line represents the biggest threat to humanity, greatest danger to the biosphere and worst menace to future generations. Have the power elites already created their Frankenstein? English author Mary Shelley completed her world famous sci-fi novel FRANKENSTEIN in 1817, exactly 200 years ago. 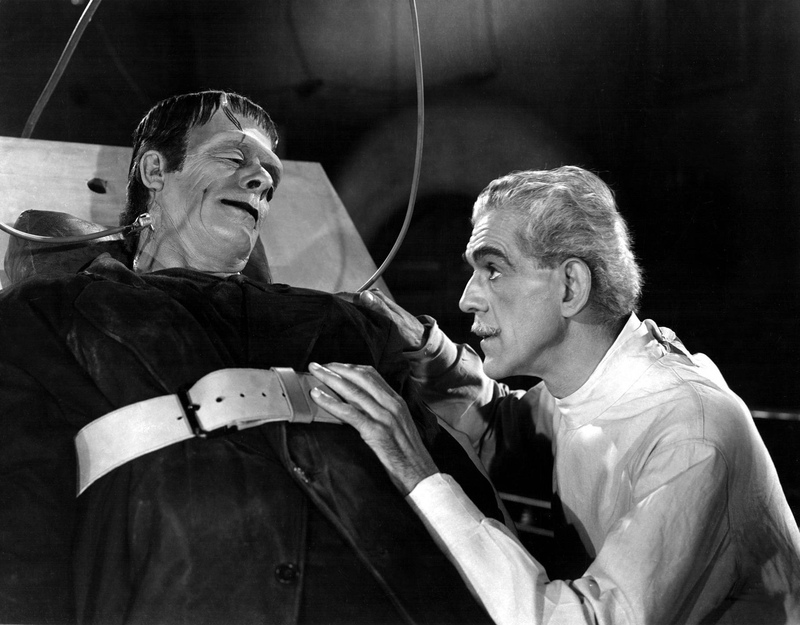 It “tells the story of Victor Frankenstein, a young scientist who creates a grotesque but sapient creature in an unorthodox scientific experiment”. Her eerily prophetic book was first published in 1818. Now here we are two centuries later in 2017. Little does the world know that the civilization now stands at the precipice of the scientific-technological abyss, both figuratively and literally. The AI scientific research and robotics applied technology communities have married each other in ways that indicate a pivotal and highly consequential project in the works. This project has seen the convergence of all the scientific disciplines and technological advancements which are directly related to human immortality and longevity. The primary goal of this massive and unprecedented collaboration is to find the proverbial “fountain of youth”. The power elites who rule planet Earth truly seek eternal life. They honestly believe that human immortality is attainable. In this way they intend to transform themselves into gods; albeit, a notably synthesized version of God. The current scientific-technological AI/robotics paradigm is best described as a “Star Wars” spaceship that is speeding toward “Technological Singularity”. 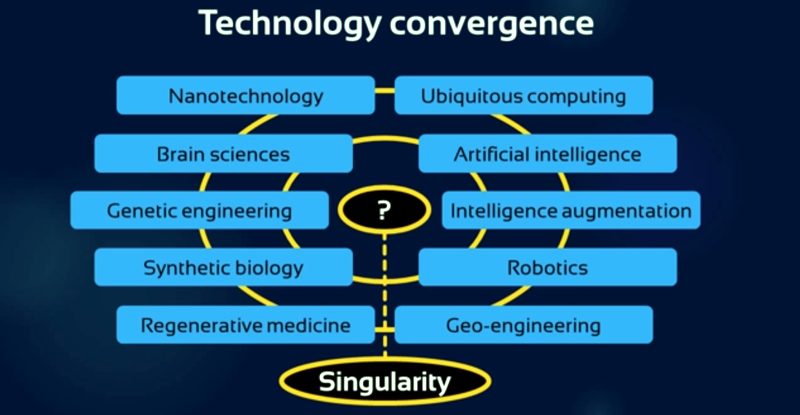 Just what is “Technological Singularity”? Who knew that much of what occurs today at the NASA Jet Propulsion Laboratory in Pasadena, CA is aimed at completing this scientific-technological goal; not what we have been told by the media. So are the grandiose experiments in particle physics being intermittently run at CERN’s Large Hadron Collider on the French-Swiss border. In fact, much of the funding allocated to various scientific research projects at major universities, government laboratories, corporate R&D departments, private foundations and other participating institutions is actually directed toward fabricating a self-rejuvenating transhuman organism that ‘will never die’. The most obvious problem with this ambition is that the present civilization would never be the same should this goal be even partially attained. Nevertheless, the prospect of a superintelligent race of synthetic androids looms large on the horizon for those hellbent on carrying out this reckless agenda. They apparently have not considered the great likelihood that these superbionic cyborgs (Frankensteins) would eventually come to rule the planet, before they take over the Solar System. Then, they would likely set their sights on the Milky Way Galaxy with the intention of conquering the entire Universe. Just as the Prime Creator creates its human creation in Its own image and likeness, so, too, do the earthbound power elites fabricate their “Frankensteins” in their own likeness. That’s precisely why their superintelligent race of cyborgs would eventually want to take over the world and beyond. The scientific-technological class merely follows the orders of those wealthy elites who have gained their power and riches through millennia of warmongering. Hence, it’s quite predictable that their humanoid progeny would have a similar Martian mindset. For the apple does not fall far from the tree. This dangerous mentality, marked by supreme arrogance and ignorance, has permeated every corner of the concerned applied science and applied technology arenas. Each of the scientific and technological disciplines that converge in the pursuit of human immortality has been pushing the edge of the envelope. In so doing, the world community now finds itself negotiating more slippery slopes of medical ethics and scientific morality than it knows how to handle. Many of the involved scientists proceed down these dangerous paths only because the challenges are there. Very few ever stop to ask the question: Is it safe or right to undertake such an endeavor in light of the many unforeseen and/or unintended consequences? And there are many and they are ineffably serious. The real problem here is that those who are promoting the human immortality enterprise are so blinded by their hubris that they will not see the cliff until after they go over it. Just like the cautionary tale known as “the sinking of Atlantis”, today’s convenient marriage of scientific and technological, political and military, occult and religious elites has put the whole of humanity in great jeopardy. Therefore, unless there is a wakeup call soon to the nations of the world, and people everywhere become aware of what is really going on, there will be an earth-shattering event which will be necessary to short-circuit their foolhardy plans. There are now daily announcements about this or that technological advancement or scientific breakthrough in the fields directly related to achieving human immortality. Each of them seems to arouse a growing backlash from those very few within the AI intelligentsia who know enough to protest or issue the appropriate warnings. The real problem with these now meteoric developments is that many take place in a virtual vacuum. Whenever DARPA, Bell Labs, CERN’s Large Hadron Collider and NASA’s Jet Propulsion Laboratory have collaborated on projects in the past, they do so as if participating in a C.I.A. black operation. Many of the key scientists know only what is going on in their little niche and particular realm of inquiry or experimentation. They are literally clueless about the many other integral pieces of the AI-robotics puzzle that are being ever-so-painstakingly put together. 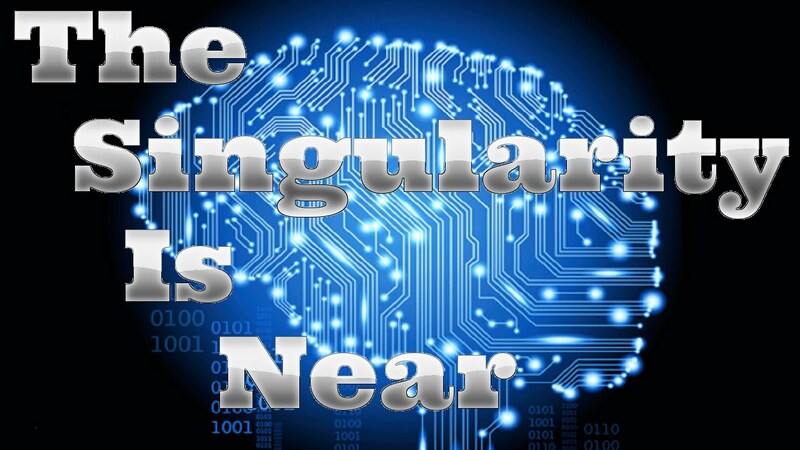 Since that watershed moment in 1946, the concerned scientific community and technological class have made common cause toward the attainment of technological singularity. Many of the best minds are lured to this high-stakes game simply because “Mount Everest is there to be climbed”. Little or no consideration is ever given to the potentially cataclysmic consequences. This has been the basic context for well over 70 years now. 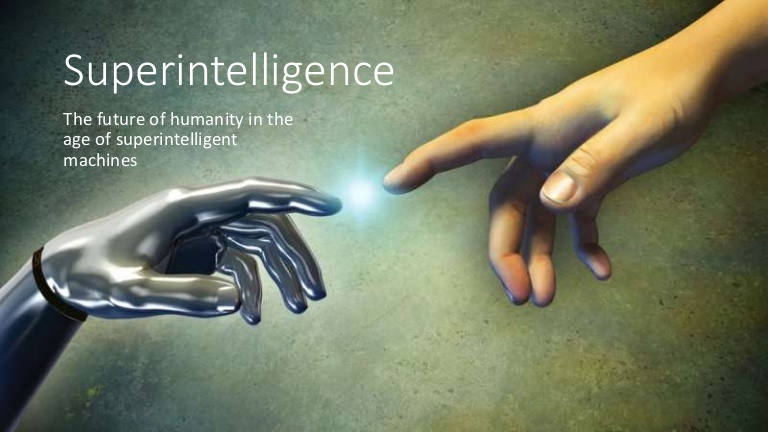 During this same time frame, computing technology, peripheral information technology, artificial intelligence, autonomous superintelligence robotics, genetic engineering and related disciplines have each seen a considerable acceleration in their advancement. Where major developments initially occurred slowly yet incrementally, they soon graduated to an arithmetic progression. This pattern was soon replaced by a geometric progression of development after just a few years. When the original supercomputers were first built in the early 1960s (e.g. Cray CDC 6600 supercomputer) the scientific-technological community started to experience an exponential progression in their capability to problem solve. Since that time, their progress has seen a steady evolvement approaching a nearly vertical upward trajectory. Presently these scientists experience unlimited breakthroughs and advancements, establishing a remarkable pattern of success which has been occurring more and more rapidly since the advent of the Internet in 1995. Hence, one can only imagine what the true state of the art of AI (and AS) is today. Once the capacity of the fastest computing technology approached the exceedingly high levels that currently exist, there was no AI problem which could not be solved in virtually a moment of time. Likewise, any unforeseen or difficult challenge could be met by aiming the biggest supercomputer at it. Given the inconceivable power and speed of this computing brainpower, it was only a matter of when it would be utilized to design autonomous superintelligence. And so they have! Except that only a very few have set their eyes upon the rapidly manifesting, 21st century Frankenstein that possesses such autonomous superintelligence. The vast majority of highly classified work that is done on the various projects which are essential to inventing autonomous superintelligence (AS) is done in extremely secret underground laboratories. These locations are not even on the map like the super-guarded military installations at Area 51 and Pine Gap are. In other words, those who are deeply involved with this ultra-sensitive work are never seen or heard from. Only the power elites know exactly how close they are to the fulfillment of their dreams; our nightmare. They are also cognizant of the extreme threats to civilization were the product(s) of their enterprise to fall into the hands of a real terrorist group. Hence, the ultra-secrecy around all of their projects has been strictly enforced from the very beginning. For it is the creation of [PERFECTLY CONTROLLED] autonomous superintelligence that is the Holy Grail for those enamored with the notion of human immortality. Everything else is relatively easy for TPTB. What’s really up with this pursuit of “autonomous superintelligence”? Well, what is very interesting is that when you Google it (within quotation marks as shown above), just over 4 Google pages are returned! Such an info blackout alone is truly astounding. It’s totally mind-boggling that they have been so successful in shutting it down on the Internet, especially in 2017! Let’s first take a quick look at what few really understand about AI (artificial intelligence), the precursor to AS (autonomous superintelligence). That’s the short unscientific explanation for the very precarious AI field of endeavor. Now for a longer description of the much more advanced AS. Artificial superintelligence that is autonomous, once created and completed, would not need any human assistance, intervention or programming whatsoever. Much more significantly, it’s the astonishing capacity to self learn and develop self-awareness that really distinguishes autonomous superintelligence from everything else on the drawing board. This evolving form of synthetic superintelligence continues to learn and expand its horizons independently—FOREVER! In other words, such an AS non-human entity (i.e. android) would theoretically be able to come and go like a human being, except that it would do everything ‘better and faster’, if it so chose to. These exceedingly competent androids could not only think and speak, but do so more clearly and precisely, respectively, than anyone else on the planet. (See: The Crazy Language of AI Bots and Non-Human Entities) The bottom line here is that these superhuman cyborgs would excel at many things that people are addicted to. That would include playing the game its crazy creators just loves to play called WAR. 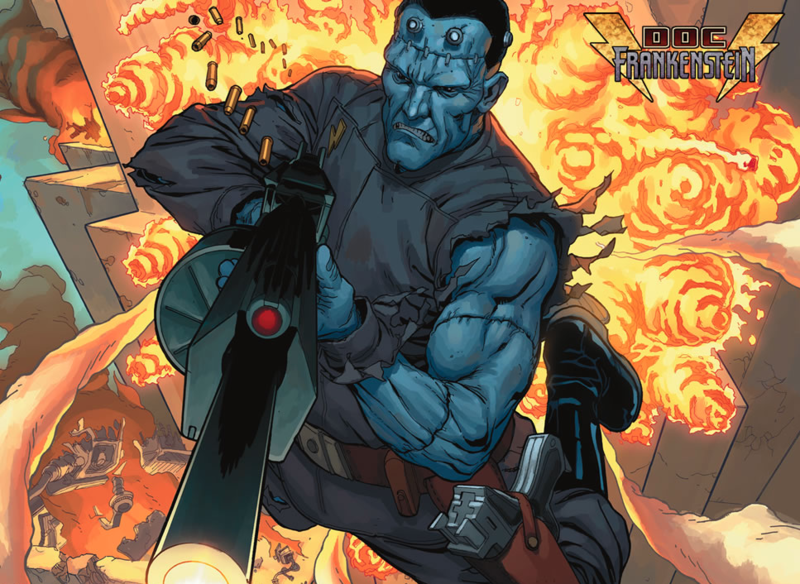 So, just to be clear, if an autonomous superintelligent Frankenstein decided to become a warmonger for survival’s sake, guess where that would leave the rest of the residents on planet Earth?! Perhaps the HAL 9000 supercomputer — the AI star of the Stanley Kubrick classic 2001: A Space Odyssey — is instructive here. Only instead of a stationary horror computer like the well-mannered HAL, imagine an ambulatory Frankenstein hardwired with the latest and greatest autonomous superintelligence. That’s exactly where this is really going. Their multi-decade super experiment is surely to end in an historic civilization-wide catastrophe. Obviously there is no way the mad scientists will be permitted to accomplish their preposterous goals. But that won’t stop them from trying. Or, until something very, VERY big happens to prevent them from doing something really stupid. Like destroying a continent or two… … …or precipitating a full-blown ELE* which AS proliferation is likely to do sooner or later. As for the prophetic advice they absolutely refuse to listen to, here’s yet another missive for them to contemplate if even for a moment. By heeding this simple admonition, they just might do us all a big favor by saving the whole human race. mistakes of the few who wanted to play God. The Cosmic Convergence Research Group was initially established in 2012 to address this urgent matter. The following inaugural essay explained much of what humanity is now experiencing—24/7 (HUGE Changes Coming To Planet Earth). Since that time, the whole world has been pushed inexorably by (and into) a undeniable agenda of transhumanism. The LGBTQ agenda foisted on the USA and world-at-large by Barack Obama is a recent demonstration of this phenomenon. The now transparent outworking of this ungodly scheme has taken an awesome toll on Western societies in particular. Part II of this new CCRG series will reveal the more sinister aspects of the covert AI plan to control humanity as it has never been controlled before. Meet the most lifelike robot ever created, you won’t believe it!